With autumn in full swing and leaves embellishing parks, backyards, and tree-lined streets, there’s no better time to introduce fall tones into our schemes in the bedroom. 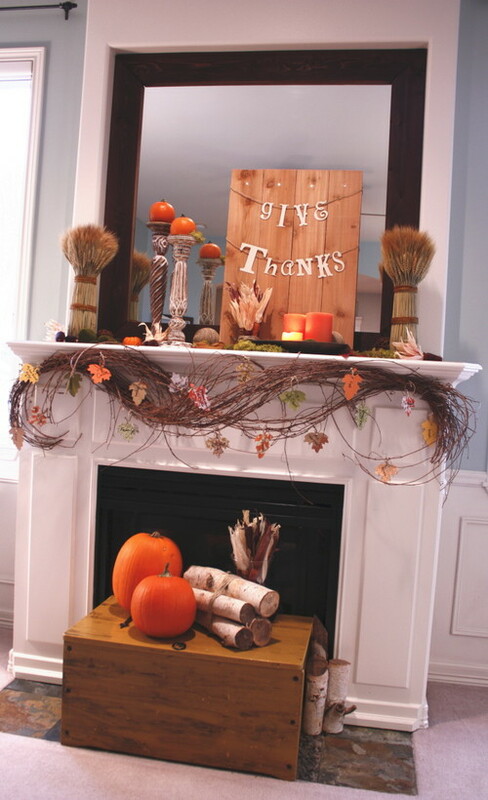 Pumpkin accents can brighten a bleak room, and give a temporary facelift that could even become permanent. 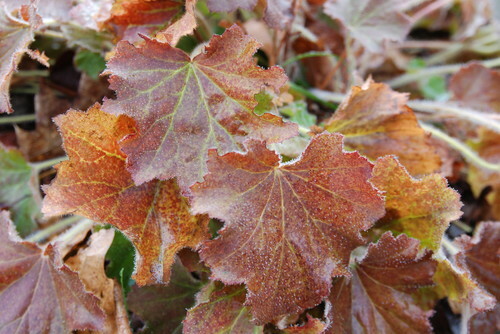 While seasonal décor isn’t for every couturier, some look forward to bringing the outside in –– tweaking, shifting, enhancing, and coloring four times per year. A bright orange blanket tucked underneath your bed covering adds a splash of color. Every bedroom needs a fresh floral arrangement, and even though this is for photo styling purposes only, add orange alstroemeria, roses, or calla lilies by your bedside, or on a dresser or desk. Orange accessories like bookends are an inexpensive yet practical way to introduce color seasonally. Other great options include boxes, vases, and even prints. You can easily pack small accents away each year, and these won’t take up too much space in storage. If you’re lucky enough to have a fireplace in the bedroom, try mini pumpkins, branches, and larger pumpkins, whole or carved, and bring the best of autumn inside. Decorate your mantle or the corners of your hearth, and light a pumpkin-scented candle to bring the fragrance of autumn to your space. 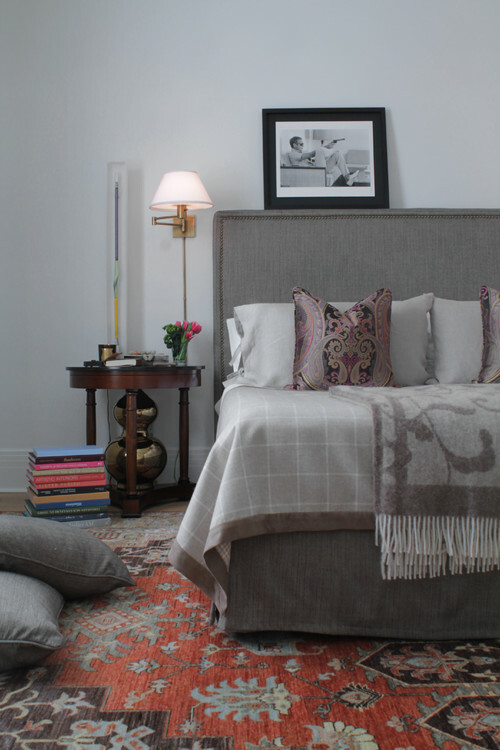 Throw pillows, lampshades and a cashmere throw are the perfect accoutrements for this almost neutral bedroom. 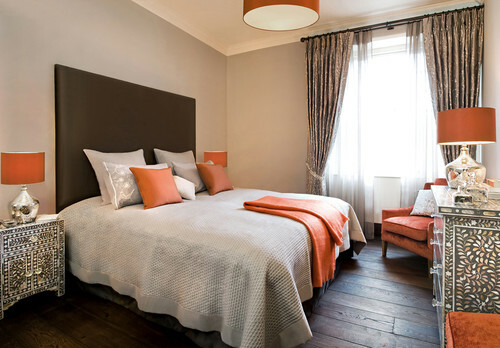 Aim for a rich almost burnt orange –– the colors works so perfectly, why not keep this space as it is, all year long? Because the cooking time is super fast, Kevin and I work as a team – I shape the pizza and brush the surface with olive oil. While he is grilling the first side, I am preparing whatever toppings are needed for the final product. Meats and vegetables need to be sautéed in advance. Kevin brings the half-cooked pizza back to me, and I place the ingredients on the grill-marked surface. He oils up the grill again, and cooks the pizza to a crisp, melted finish. 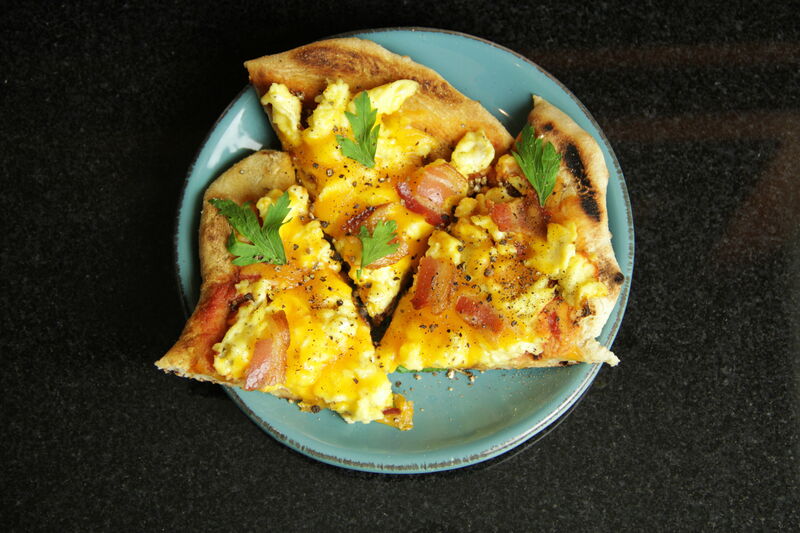 When you swap out some of the more traditional choices with bacon and eggs – voila! You’ve got an impressive pizza breakfast in bed. Preheat the grill to high. 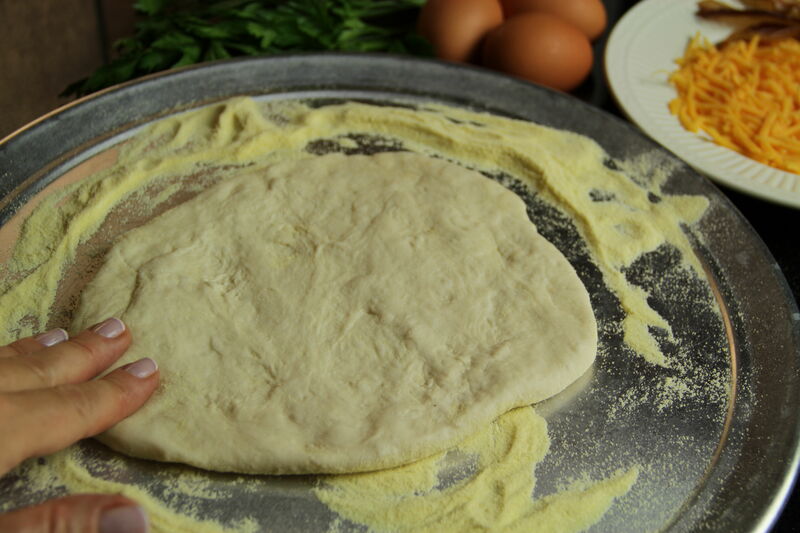 Shape the pizza dough by flattening with your hands on a lightly floured surface. Use your fingers to stretch the dough out, or hold up the edges of the dough, letting the dough hang and stretch, while working around the edges of the dough. Let the dough rest for 5 minutes, then push out the edges with your fingers again, until you have a nice round shape, about 6 to 7 inches in diameter. Keep the dough flat (no raised rim) for easy grilling. When the grill is hot (you can hold your hands an inch over the grates for no more than 2 seconds), dip a tightly folded up paper towel in olive oil and use tongs to wipe the grill grates. Place shaped dough on a lightly floured (or use cornmeal) rimless cookie sheet or pizza peel. Gently let the dough slide onto the hot grill grates. Close the lid and cook for 2 minutes. Open the grill and check the bottom of the dough to see if it is getting browned. If it is evenly browned, let it cook for another minute. If not, rotate the dough so it gets an even browning for the last minute. If it is not beginning to brown, cover the grill and continue to cook a minute at a time until the bottom has begun to brown. Your dough is ready when the top of the pizza begins to bubble. Do not overcook as this will be the pizza top. Remove the pizza from the grill using your cookie sheet or pizza peel. Use a spatula to flip the dough over onto a work surface so that the grilled side is now up. Keep the grill covered so it retains heat. Paint the grilled surface of the pizza with a little olive oil, then cover with sauce. Arrange scrambled eggs evenly on surface. 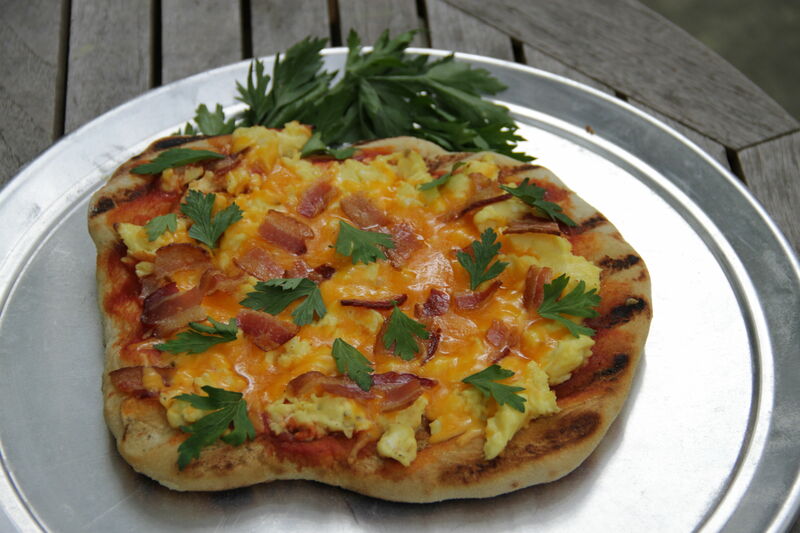 Cover with cheese and bacon pieces. 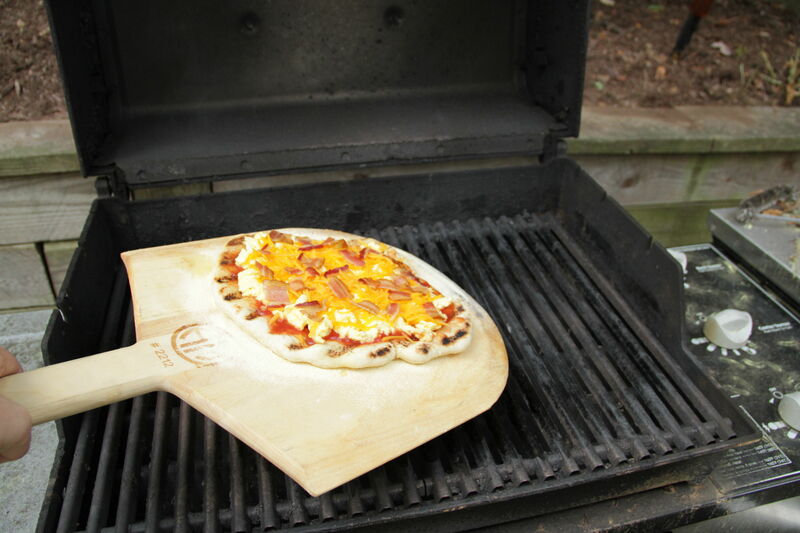 Slide the pizza back onto the grill. If you’re using a gas grill, reduce the heat. If working with a charcoal grill, close the vents on the cover almost all the way. 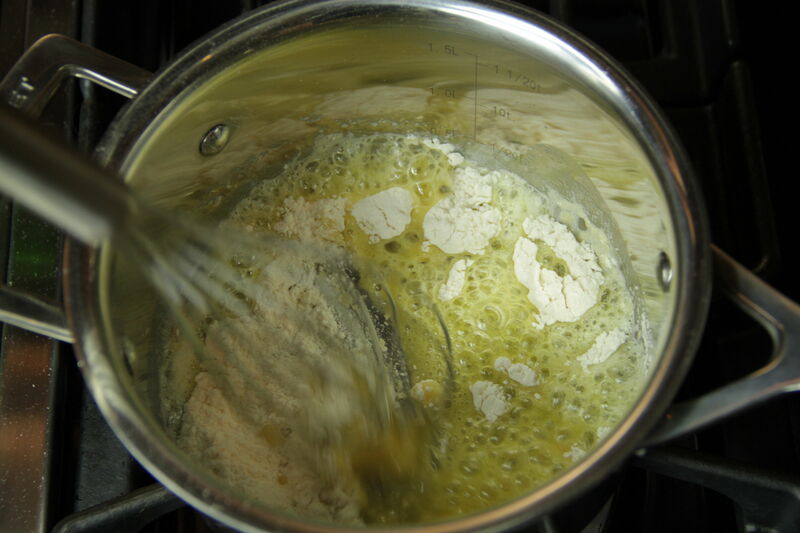 Close the lid and cook for 2 to 3 minutes more, or until the bottom begins to char and the cheese is bubbly. Remove with a spatula onto a cutting board or other flat surface. Top with fresh herbs, salt and pepper. Let rest for a couple of minutes before slicing. Makes 1 6-inch pizza, or 2 servings. NOTE: Double the recipe for a larger, 12-inch pizza. 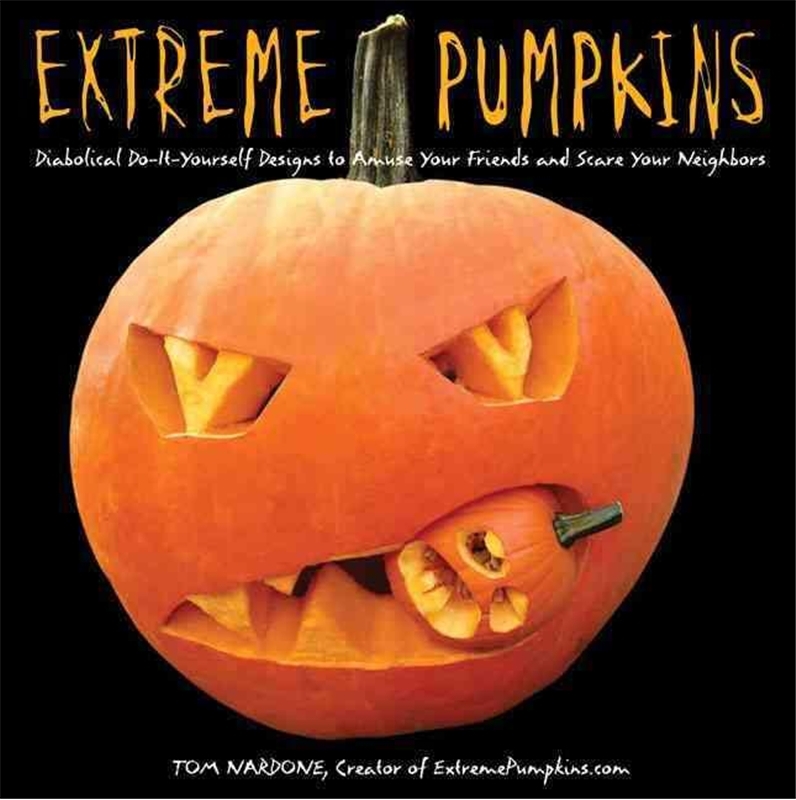 Bedtime Stories: Scary and Awesome Pumpkin Carving Ideas! We are less than two weeks from Halloween now! We picked out our pumpkins a couple weeks ago and my son has been rarin’ to cut into his ever since. For my part, I’m always hurting for inspiration when it comes to most crafty concepts. I came across this out-of-box book at the library. It’s full of amusing and sometimes a little disturbing ideas. On the cover is a mean pumpkin face chewing an understandably surprised-looking littler pumpkin. 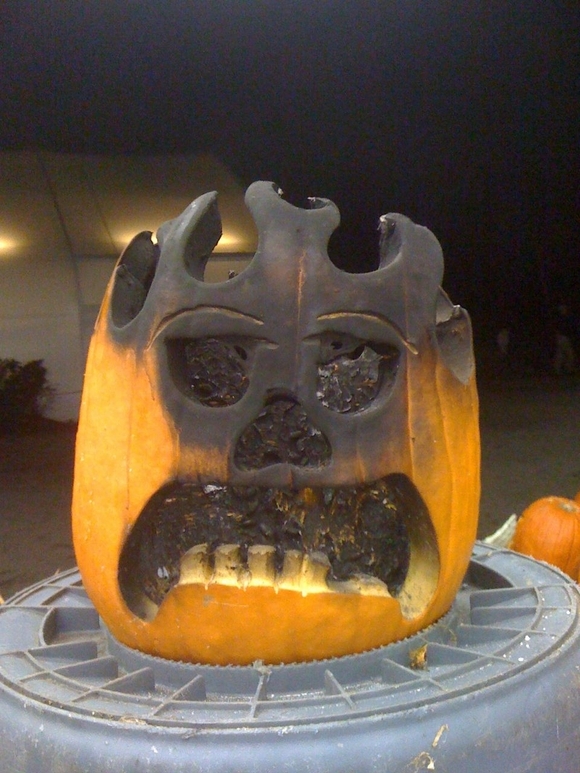 On the back is a pumpkin who has vomited its insides all over the table. Yuck! Unless you are a six-year-old boy, in which case: awesome! Have you ever wanted to make a Darth Vader helmet pumpkin? How about using toothpicks as scary sharp teeth? 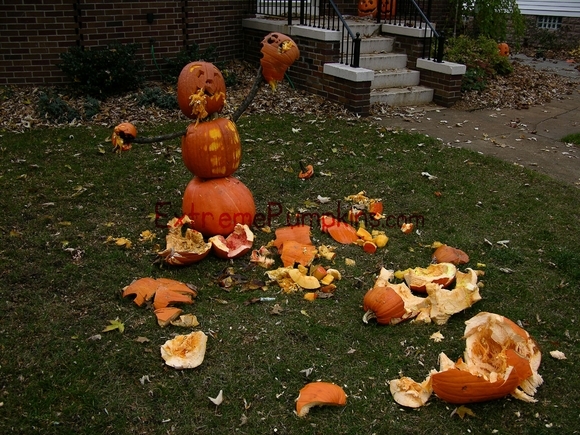 What about a pumpkin puking guacamole? Whatever your weird desires, this book probably has some ideas for you. Note: I did not do any of the pumpkins in this book in the end. I probably should have, as mine looks like a disaster. My kid’s looks extremely abstract and my wife’s is a fantastic nerd reference. Posted in Bedtime Stories	| Tagged bedtime stories, Charles P. Rogers, Children's book reviews, Extreme Pumpkins, family, Halloween	| Comments Off on Bedtime Stories: Scary and Awesome Pumpkin Carving Ideas! 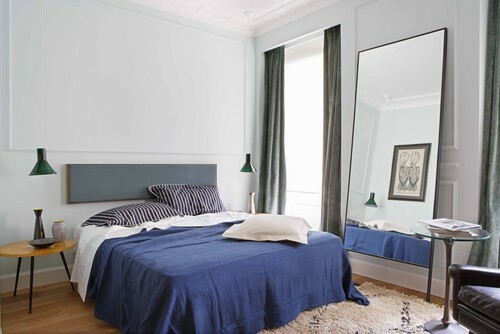 Bedrooms commonly come decorated in light neutrals and happy colors such as yellow, soft greens, and pale blues. Often, furnishings might be slim or curvy in line rather than bold and geometric. Design elements like these tend to make a room feel more dainty and feminine. But if you add in darker hues, less pattern, more texture, and furnishings with a modern sensibility, suddenly the space feels more masculine. Believe it or not, manly-looking rooms aren’t only attractive to men. Some ladies prefer a simpler, contemporary retreat with clean lines, neutrals, or richer colors. We can plainly see how both sexes would feel elegant in these four dreamy bedrooms with masculine décor. This otherwise sleek sleep space gets its warmth from the deep-colored paneled walls. The navy blue comforter provides contrast, and the throw pillow brings the outside in. A white chair, sconces, and sheets brighten things, while the runner ties the scheme together. Loaded with texture, this bedroom by Jeffers Design Group proves that neutrals need not be humdrum. The varying shades of grey and brown work beautifully and the space is soothing and inviting. This relaxed Spanish bedroom lacks a headboard but certainly not style. The shag rug, striped shams, unstructured bedding and side panels, no-fuss pendant lamps, and modern furnishings contribute to the masculinity. This tailored space contains more color than the above choices, but still feels substantial and far from girly. The simple upholstered headboard, touch of paisley, black and white photo above the bed and the Oriental rug, give this “undecorated” room a masculine vibe. Male or female, who wouldn’t love to sleep here? The term “au gratin” translates literally from the French as “with the gratings” or “with the scrapings,” and refers to a cooking technique that requires covering a dish with breadcrumbs or cheese and baking or broiling until a golden crust is formed. Something wonderful happens during that time in the oven – flavors are converged and merged, blended and deepened, harmonized and crisped. 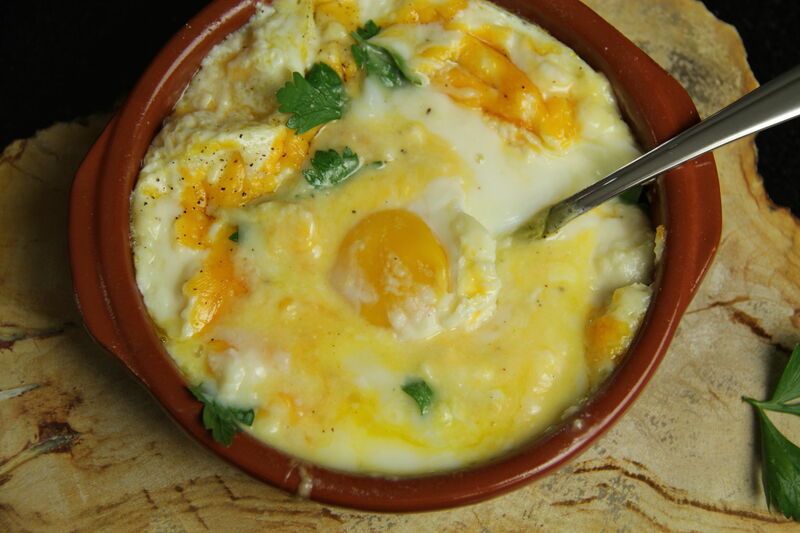 This habit-forming recipe results in a mélange of rich cream sauce, tangy cheddar, and softly baked eggs. The conclusion? A decadent morning mac & cheese, where the eggs play the role of pasta. Place a layer of meat or fish (ham, cooked bacon, or smoked salmon) at the bottom of the dish before baking. Try some vegetables as a base – caramelized onions, wilted spinach, or roasted red peppers. Or, best of all, skinny it down by cutting the recipe in half. 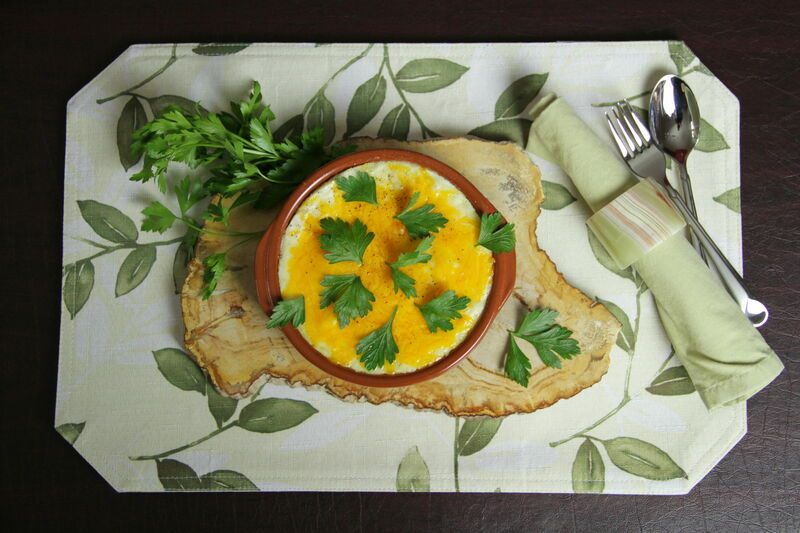 Make it just for yourself in a personal-sized ramekin for a decadent, mac & cheesy breakfast in bed. Preheat oven to 350°. Spray a small oven-proof dish (just large enough to comfortably hold 4 cracked eggs in an even layer) with cooking spray. Pour half of the white sauce into the baking dish, then top with half the cheddar cheese. Carefully crack each egg into the dish. 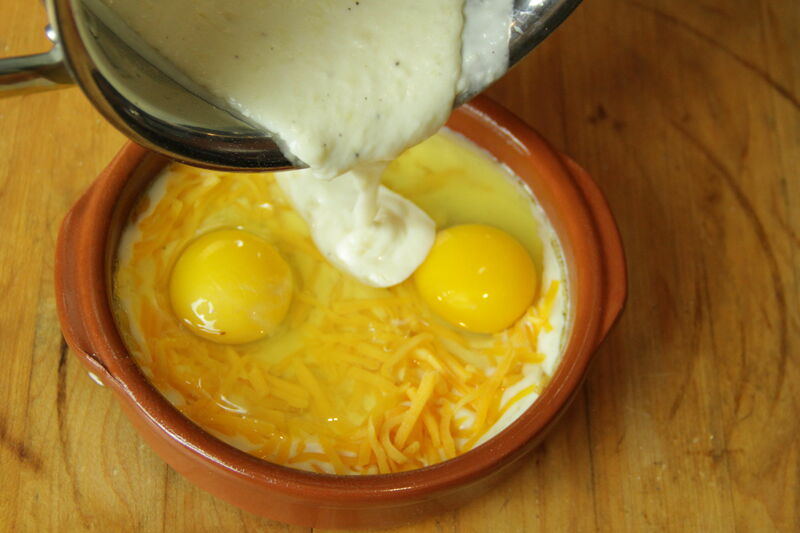 Cover the eggs completely with the remaining white sauce, then top with the remaining cheese. Dust the top with salt and pepper. 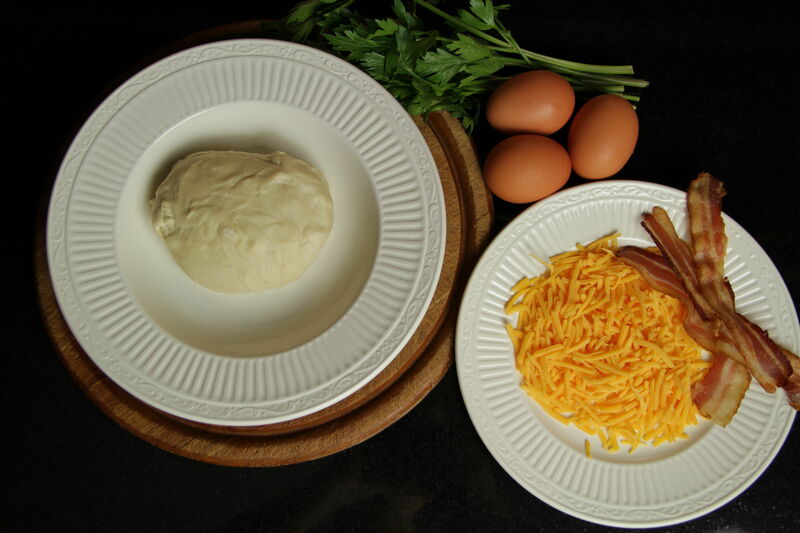 Bake for 10 to 12 minutes, until cheese is melted, egg whites are fully cooked, and yolks are still soft. Cook eggs a little longer if you’d like the yolks to be cooked through, or cook under the broiler for the last minute or so for a browned crust. 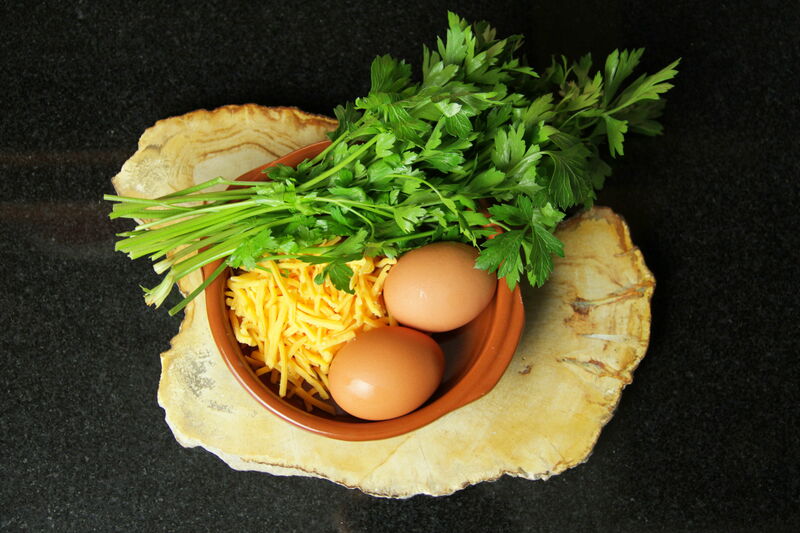 Garnish eggs with parsley and serve hot with buttered toast, if you like.